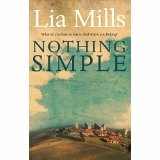 Lia Mills writes novels, short stories and essays. She has worked on several public art commissions. An experienced writing workshop facilitator, she was writer-in-residence at Farmleigh House 2015-2016 and Arts Council Writer Fellow at University College Dublin for 2016. Her third novel, Fallen, set in Dublin 1914-1916, was the Dublin: One City One Book selection for 2016. For the first time Dublin City Libraries and Libraries NI (the Library authority of Northern Ireland) teamed up for a joint, Two Cities One Book festival (Dublin & Belfast). Her first novel, Another Alice (1996) was nominated for the Irish Times Irish fiction prize. Her second novel Nothing Simple (2005) was shortlisted for the Irish Novel of the Year at the inaugural Irish Book Awards. In Your Face (2007), a memoir of her diagnosis of and treatment for oral cancer, was named as a favourite book of 2007 by several commentators. In 2013 she co-edited Word of Mouth: coping with and surviving mouth, head and neck cancers with Dr. Denise MacCarthy (available to download free from the Dublin Dental University Hospital website, and as an e-book). Born in Dublin (where she is based), she lived in London and America before returning to Ireland in 1990.